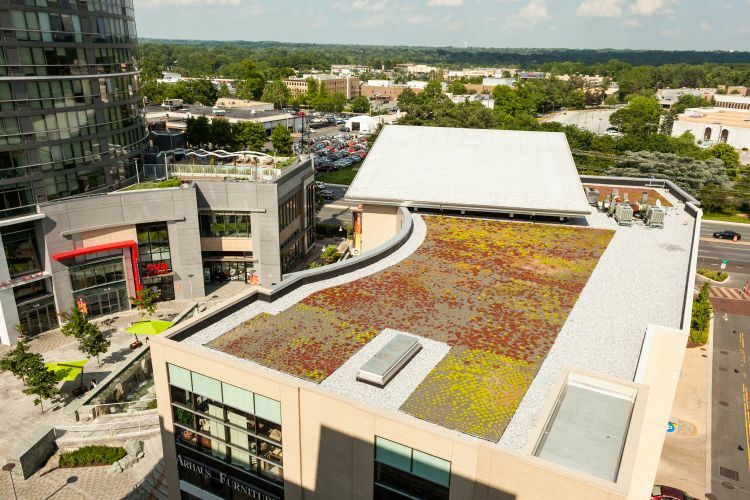 North Bethesda Market is a six-acre, high density, mixed-use urban development that has transformed a suburban parking lot into a new urban center along a major public transportation corridor in Rockville, Maryland. 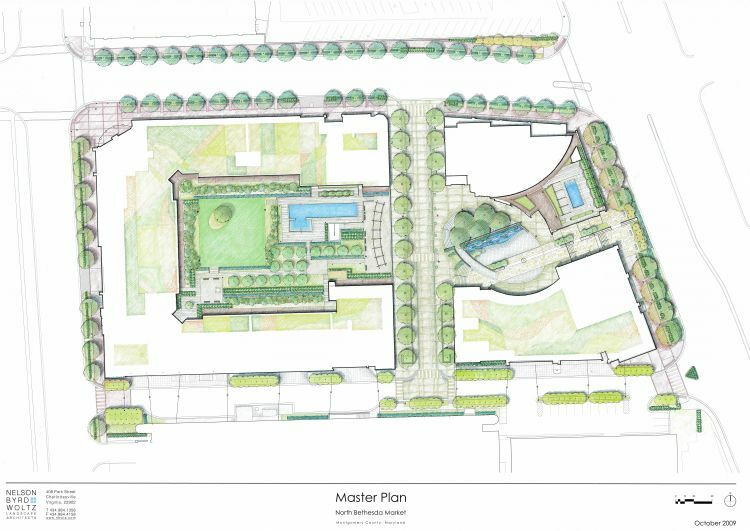 Anchored by Whole Foods Market, street level features retail and commercial office space with residential apartments and condominiums in high rise space above. 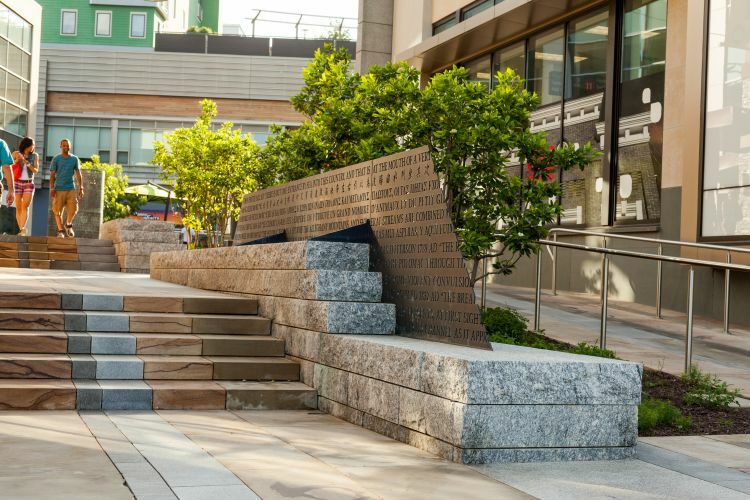 Nelson Byrd Woltz designed all the public outdoor spaces associated with the project including the central plaza, a festival street for outdoor markets, and the street landscapes surrounding the project. 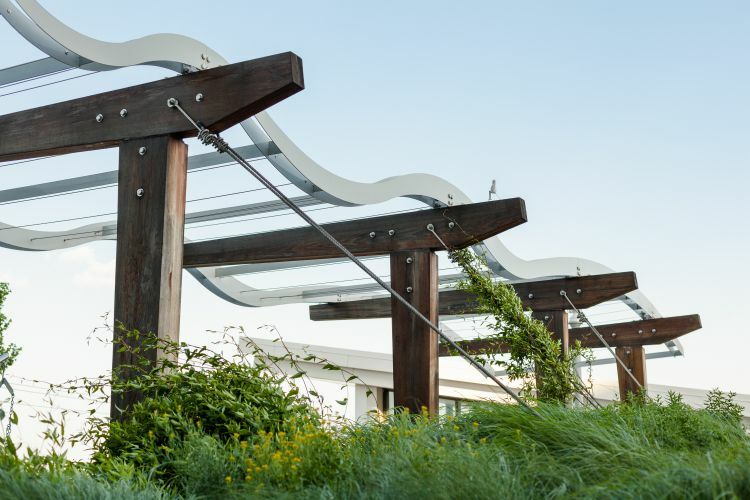 The design takes its cues from the local geography, geology, and ecology. 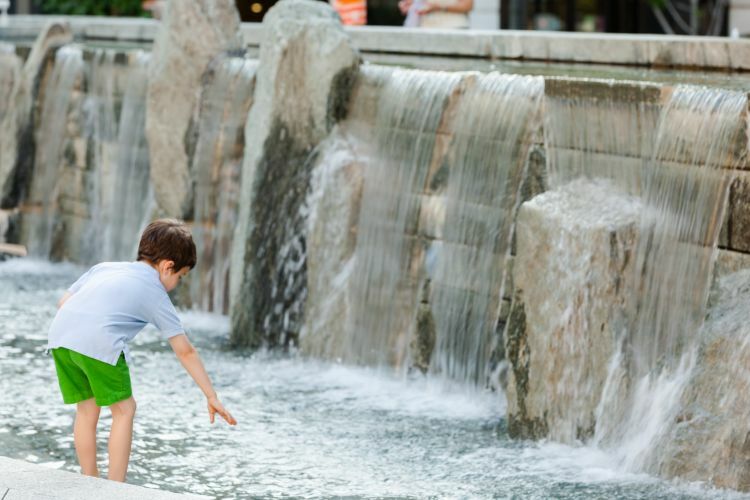 Located near the geographic fall line, the fountain at the center of the plaza references this proximity by emulating a waterfall. 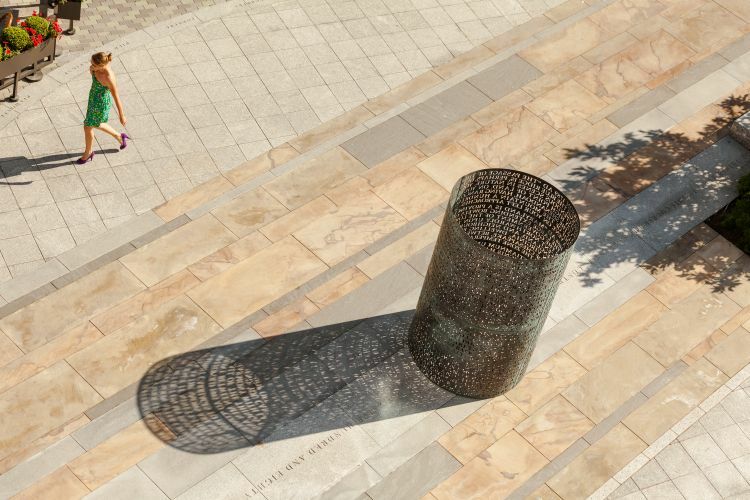 The striated stone paving is an abstract allusion to the sedimentary bedrock that is typical to the region and underlies the site. 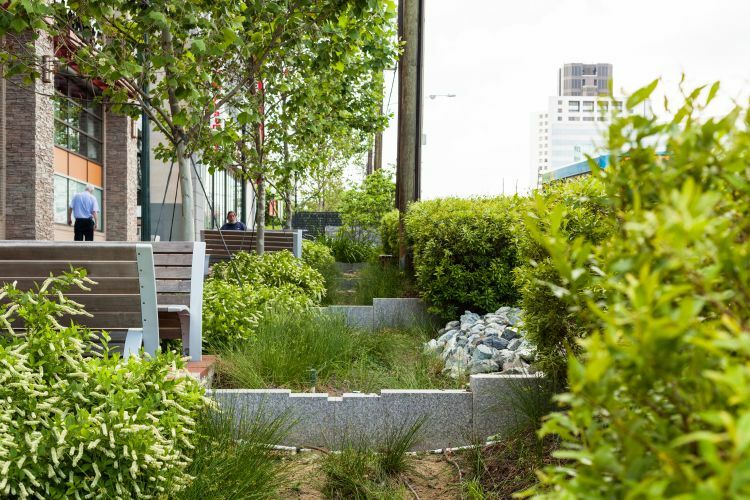 Sweetbay magnolia bogs are an unusual ecological community found only in this area; plantings in the plaza reference this unique ecosystem. 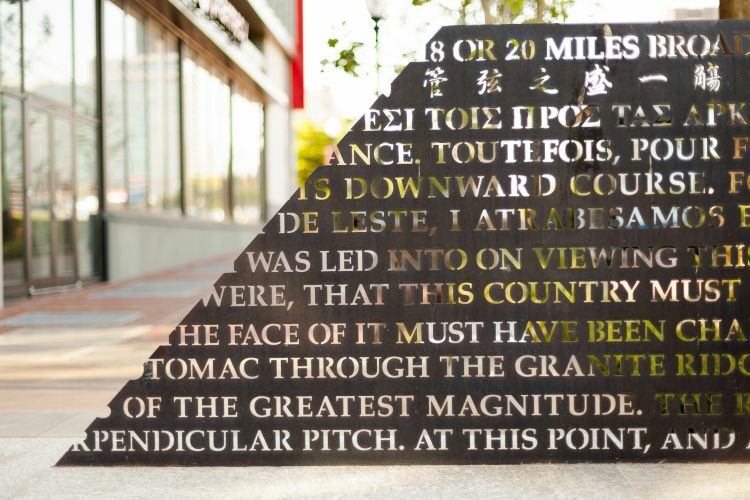 In addition, NBW collaborated with artist Jim Sanborn who created a site-specific installation in copper and stone inscribed with texts on the natural and cultural histories of the locale. 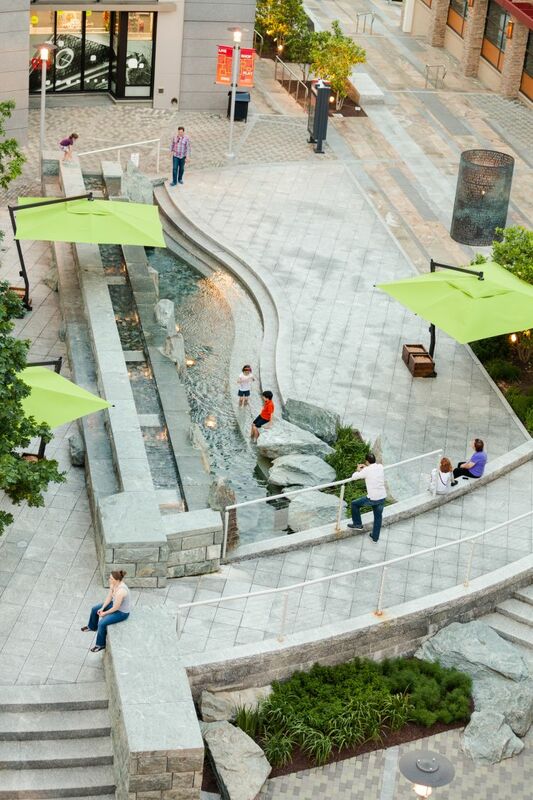 Public plaza spaces are designed for ease of circulation with flexible areas for outdoor cafes, strolling in front of retail stores, setting up outdoor markets, and gathering for musical performances and other entertainment. 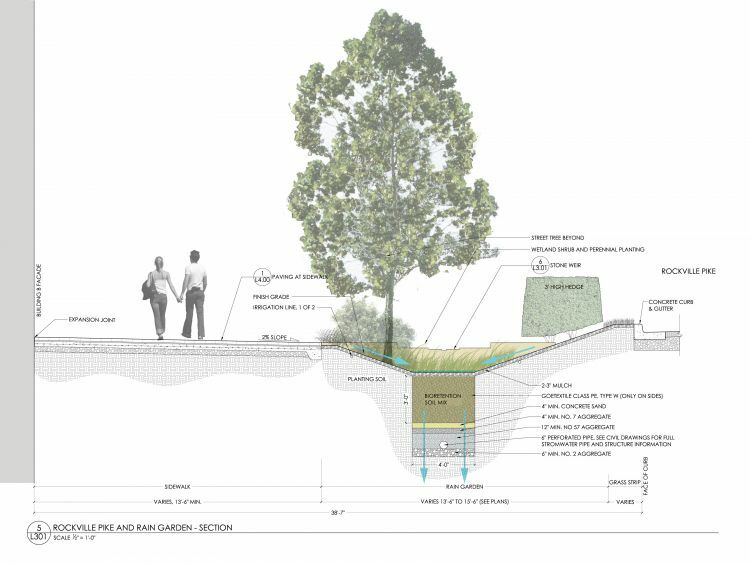 Several sustainable design strategies have been incorporated into the project: raingardens/bioswales to capture and filter stormwater on site; 95% native plant/tree palette comprised of species from the mid-Atlantic region; locally sourced stone for the fountain; concrete pavers manufactured in Maryland; and a 31,600sf sedum green roof. ← WHAT MAKES A CITY GREAT?